The novel’s fictional widow Parthenia Leila Ellis presumably had more than one pot to cook with, but soldiers on both sides at Knoxville probably didn’t unless their unit’s cooks were rustling up grub for all. For those, particularly among the besieging Rebels, who had to fend for themselves, you might have a hard time imagining how creative you could be cooking with one pot or skillet over an open fire—no matter how creative they might be in scrounging up the makin’s from pitifully small rations. Comes Clarissa Clifton to help you out. 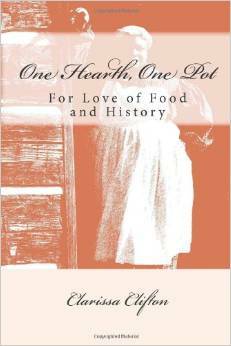 Her good recipe book “One Hearth, One Pot” is short but valuable, and her explanations will help you conjure a full picture of a Civil War soldier or his mess’s servant/slave cooking in camp or at makeshift stops on the march from one battle to the next. Chicken, hoe cakes and sweet potato biscuits. Yum. 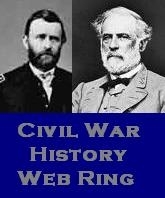 This entry was posted in Civil War accoutrements, Parthenia Leila Ellis, Slavery and tagged Clarissa Clifton, cooking in one pot, cooking over an open fire, One Hearth One Pot. Bookmark the permalink.